Now is a great time to invest in Arby’s! With more than 3,300 restaurants worldwide, the Arby’s® restaurant brand is well positioned for continued growth. Our robust product pipeline of handcrafted sandwiches, innovative sides and decadent desserts is constantly in motion. We have an exciting Brand positioning that’s getting noticed. And, we have a cutting edge new Inspire building design for new and existing locations. Arby’s is seeing strong comp sales growth. We’ve carved out our own niche in the industry with our premium, roasted meats and handcrafted sandwiches, that we’re calling Fast Crafted™. 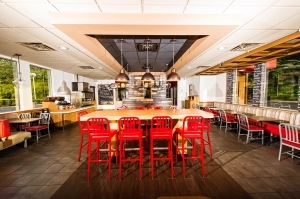 And, Arby’s is seeing strong results on our Inspire design building remodels with strong average returns on investment. Also key to our success is our founding principles. More than 50 years ago, two brothers, Forrest and Leroy Raffel, came together with an innovative idea to shake up the burger and fries fast food industry – roast beef sandwiches. And, from the beginning, our founders sought to create a Brand that offered differentiated, high quality products, had an appreciation for the theater of food, and restaurants that truly understood and exemplified warm, friendly customer service. Today, our iconic Brand has embraced these principles with the same passion, elevating our expertise in roasted meats to include a full menu of meat and sandwich options that have given way to who we really are, a “fast crafted” restaurant service. Arby’s time is now. Are you ready to hop on board? For more details, visit ArbysFranchising.com. Now is the perfect time to join the Arby’s family. The Brand has recently undergone a revitalization offering franchisees a multitude of opportunities to grow their businesses. We’ve created a new Inspire restaurant design that offers the flexibility to fit a variety of traditional and non-traditional locations – from end-caps with drive-thrus, to standalones, inline restaurants, conversions and smaller footprints with a cost efficient design. We’ve done the research and have several markets where we’re looking to open Arby’s restaurants. For additional information on Arby’s “growth” markets, please visit ArbysFranchising.com. Arby’s also offers franchisees ongoing operations, marketing and development support to help equip them with the necessary tools for success. Finally, we’re here to help you during the building or remodeling process. 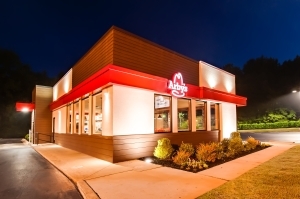 From providing sample construction processes for remodeling an existing restaurant or generic plans for the approved building or layout for developing a new restaurant, to consulting on construction planning, purchasing, capital assets and cost savings programs, Arby’s is a true supporter throughout the experience. Looking for more? Arby’s offers franchisees industry-leading incentives to help ensure success. 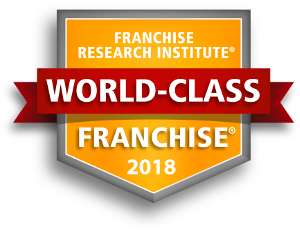 Franchisees who join the Arby’s family will receive a reduction on royalty fees, and, additional marketing dollars to be spent specifically on local store marketing to promote your new restaurant, get you off to a strong sales start and help sustain this momentum going forward. How do you become an Arby’s franchisee? First, and foremost, we’re looking for candidates with a real passion for the Brand, as well as experience in the restaurant industry. To qualify, candidates must have a minimum of $500,000 in liquidity per restaurant, and $1 million net worth per restaurant. Optimally, we’re looking for a minimum commitment of three restaurants per development agreement. Finally, we’re looking for franchisees who are ready to Inspire Smiles Through Delicious Experiences. MN #F-5349. This advertisement is not an offering. An offering can only be made by a prospectus filed first with the Department of Law of the State of New York. Such filing does not constitute approval by the Department of Law. "Good strong positive people. The best we have seen in the 37 years we have been franchisee." "Field Representatives are very helpful, supporting us any way possible." "Progressive product development. Ability to communicate directly with the person responsible for making decisions. The support from the field has been good." "My franchisor is forward thinking. They are focused on taking the brand to the next level. Strong focus on product innovation and marketing strategies." "Franchisor is very good at getting all departments working towards the common goal, which is the success of the Brand. Strong team with a strong leader. They are very good at establishing systems and protecting the integrity of the Brand, which affects all of us." "Strong commitment to product innovation and good creative advertising. Strong helpful operations support." "The professionalism of the franchisor, employees, and the timely communication of same. Franchisor understands the profit relationship between franchisor and franchisee." "They are Excellent in every way. Franchisee for 28 years. Much respect for the brand as a whole." "They have always been willing to help us with questions, training, etc. even though we are a 1 store operator."